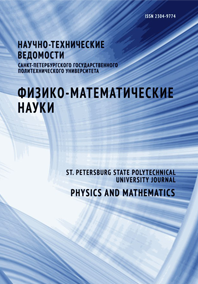 Serebryakov Alexander S. Moroz Andrei P. Berdnikov Yaroslav A. Miller Mikhail B. Efremov Yuri V. Khrunov Vladimir S.
The paper considers the peculiarities in gamma-ray spectra collection by silicon detector. The computer model which takes into account inhomogeneous charge collection in the detector volume allows calculation of correct spectra for essentially different gamma-line energies which coincide with the experimental spectra rather well. The influence of incomplete charge collection in the crystal sensitive volume by amplitude spectra is demonstrated.